What is the Best Way to Clean My Cloth Car Seats? You are here: Home » Blog » What is the Best Way to Clean My Cloth Car Seats? Taking your car to get detailed can cost you a lot of money, and why spend all that money when there are ways that you can clean your upholstery without spending hundreds and hundreds of dollars. Whether you need a quick overall cleaning, need to remove stains, are looking for an alternative to fabric cleaner, or you want to know how to maintain cloth car seats, here are some of the best ways you can clean your cloth car seats without the need of a professional. You will also want to have a cleaning brush and linen spray. The first thing you want to do is vacuum out your car from any excess debris or crumbs. To release any crumbs hiding in the stitching or cracks, use the dry, cleaning brush to push it out. Mix your solution together and dip your brush in the solution. Work the brush in circular motions, lightly dampening the upholstery. Soaking it too much will cause mold to grow as it settles in the cushion. Wipe the seat with a towel to make sure you remove any of the dirt suds left behind. Once you’ve finished wiping the dirt away, lower your windows to help the seats dry. Finish up by vacuuming everything one more time and spritzing the car with some linen spray. Stains can be a pain, especially if they’re on our car seats. It might take a little work to get them out, but once you do your car will look new again. Similar to quickly cleaning, you want to vacuum out your car’s upholstery. Make sure you’re getting in the seams to vacuum any debris out. Lightly spray a coat of a fabric cleaning product over the areas you want to remove stains. You can spray around 4-5 spritz over the area, but don’t soak it. Use an interior brush to work the stain. Stick to one area at a time before spraying another spot. Don’t use a stiff brush because it can damage the fabric, but a soft to medium brush will work. Wipe the dirty suds with a microfiber towel. Massaging the area can bring the dirt to the surface, which is important to do before it dries and leads to mold. Repeat these steps in every area you need to until it’s clean. This could take about 3-6 coats to remove a stain, depending on how long it’s been there and how bad it is. Once you’ve finished, vacuum the upholstery again. Whether you or someone in your family is sensitive to harsher chemicals, or you don’t want to go out to find one, you can use common household items to clean the upholstery in your car. Laundry detergent – Mix the detergent with hot water and either place it in a spray bottle or damp a sponge. To rinse it out, wet a microfiber towel with cold water, squeezing any excess out and scrubbing the seat. Vinegar – Mix 1 cup of vinegar, a few drops of dish soap, and a gallon of water. Dab it on the seat and use a brush to clean it. To remove suds, soak a microfiber towel in clean water. Baking soda – This solution works great for unpleasant smells and cleansing. Use ¼ cup of baking soda and 1 cup of warm water. Coat your stain with a light layer and scrub with a tissue. Leave on for 30 minutes for tougher stains, blotting away with a cloth. Club soda – To get rid of cloth seat stains, coat a light layer and use a brush to scrub it in. Reapply as needed to remove the stain completely. 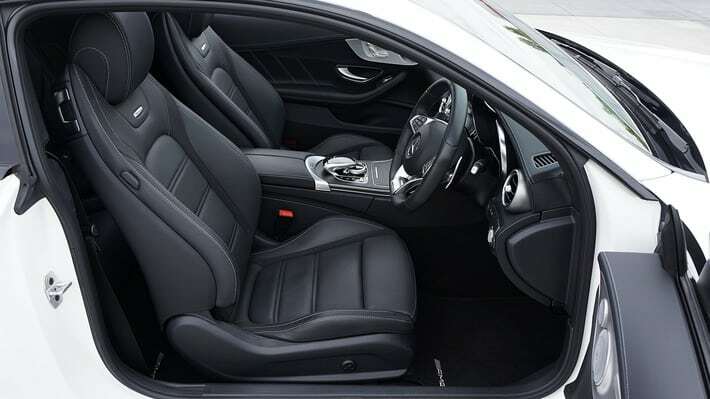 There are many easy tips to follow if you want to maintain the upholstery of your car. By vacuuming often, it can help keep dirt and debris from getting trapped in the seams of the seats. Depending on the weather that you live in and how much time you spend in your car, you should vacuum your car out every 1-2 weeks. If you happen to have a spill, try and clean it up as fast as you can. Clean up any debris that you notice because some can cause grease stains. If you do happen to come across a spill or stain, soak up the mess using a cloth or towel, especially mud, food, or makeup. Clean it up with fabric cleaner the minute you can. Another great way to maintain the cleanliness of your car is by setting rules for those who go in your car. Make it clear what you will be allowing like no food or drinks. If someone has muddy or dirty shoes, maybe offer them a bag to put them in or put them in the trunk.